Jennifer Sue Houston, 25, of Milan passed away Sunday, August 19, 2018 at Margaret Mary Health in Batesville. Jennifer was born Tuesday, September 22, 1992 in Lawrenceburg, IN the daughter of Kathy (Roy) and Leland Houston II. Jennifer was a member of St. Paul Lutheran Church, she graduated from Milan High School and enjoyed listening to music, dancing, singing, going to yard sales, eating and had a love for horses. Jennifer is survived by her mother: Kathy, sister: Tasha, maternal grandmother: Jen Roy all of Milan, Uncle Andy Roy, Aunt Shauna Roy, Aunt Mary and Uncle Kelly Estes and many cousins. She was preceded in death by her father and maternal grandfather Edward Roy. Funeral services will be held 6 p.m. Thursday, August 23, 2018 at Laws-Carr-Moore Funeral Home with The Rev. Curtis Black officiating. Visitation will be 4 - 6 p.m. Thursday also at the funeral home. 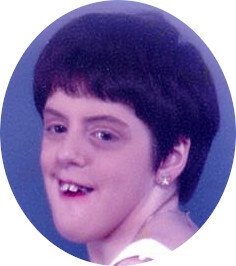 Memorials may be made in Jennifer’s honor to the Epilepsy Foundation. Laws-Carr-Moore Funeral Home is entrusted with arrangements; 707 South Main St., Box 243, Milan, IN 47031, (812)654-2141. You may go to lawscarrmoore.com to leave an online condolence message for the family.